Wat is dit voor site? Wij zoeken de goedkoopste boeken op internet. Name Reactions for Homologation, Part 1vonden we het goedkoopst op Bol.com voor €154.71. We hebben gezocht in nieuwe en tweedehands boeken. Rechtsonderaan de pagina kan je het boek direct bestellen	via Bol	.com. A valuable addition to the literature by any measure and surely will prove its merit in years to come. The new knowledge that arises with its help will be impressive and of great benefit to humankind. 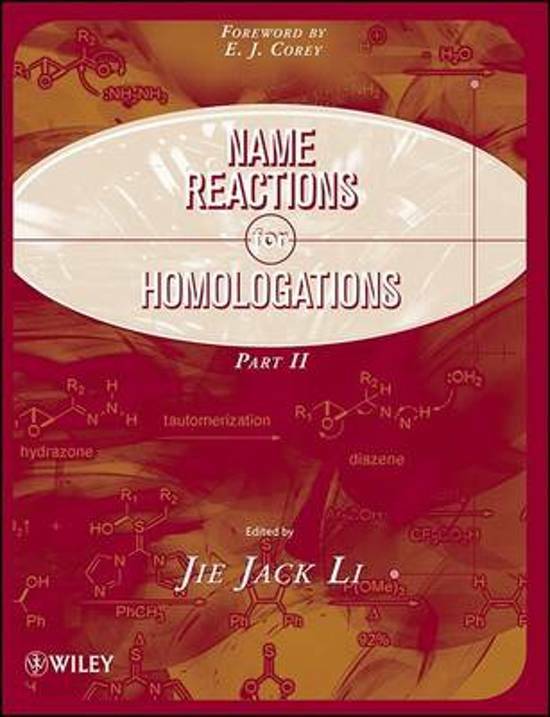 -From the Foreword by E. J. Corey, Nobel Prize Laureate An invaluable guide to name reactions and reagents for homologations Name Reactions for Homologations, Part II of Wiley's Comprehensive Name Reactions series comprises a comprehensive treatise on name reactions for homologations. With contributions from world-recognized authorities in the field, this reference offers an up-to-date, concise compilation of the most commonly used and widely known name reactions and reagents. Part II discusses Rearrangements, Asymmetric C-C Bond Formation, and Miscellaneous Homologation Reactions. 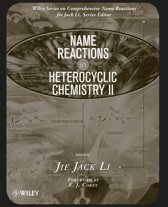 Arranged alphabetically by name reactions, the listing provides: * Description of the reaction * Historical perspective * A mechanism for the reaction * Variations and improvements on the reaction * Synthetic utilities of the reaction * Experimental details * References to the current primary literature Armed with this invaluable resource, both students and professionals will have at their fingertips a comprehensive guide to important mechanisms and phenomena in homologation.